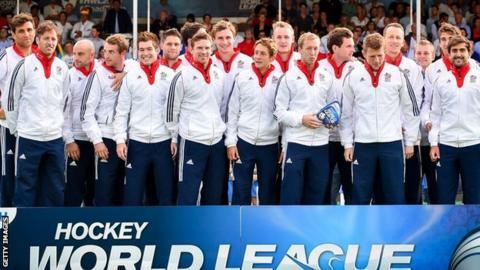 Great Britain head coach Bobby Crutchley says fringe players can use the World League Final as a chance to stake a place in his Olympic squad. Several experienced players, including captain Barry Middleton, are being rested for the trip to India. "It's not the biggest tournament but it's certainly a key one for us," Crutchley told BBC Sport. "It allows me to look at some players with an eye on who's going to be pushing for Rio places next August." Crutchley has taken a squad of 18 to the event in Raipur, where they have been drawn in Pool A along with world number ones Australia, Canada and Belgium. GB's first game is on Saturday, 28 November against the Canadians. "Guys who've played a lot of international tournaments over the last few years, we've left a lot of them at home," said Crutchley. "We have 29 full-time athletes on the programme so it allows me to look at the broader squad against the best in the world and see whether they might be pushing for Rio places come August next year." Among the rookies is forward Alan Forsyth who made a scoring debut for Great Britain in October against Argentina. "It'd be a dream come true if I could play for Team GB at the Olympics," said Forsyth. "This tournament is important with Rio coming around but the main thing is to get to know the team more and make myself better. Then, never say never." The event in the central Indian city of Raipur is the culmination of qualifying rounds played over the last two years. Hosts India, Netherlands, Germany and Argentina make up the other pool. GB women take part in their World League Final tournament in Rosario, Argentina, from 5-13 December.